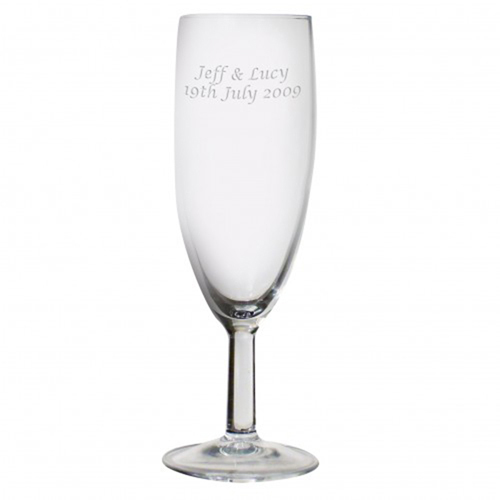 This toast champagne flute is available in a traditional font which can be personalised over 3 lines (20 characters per line). Also makes an ideal favour. Personalise over 3 lines (20 characters per line).